Elfyn Evans fights back on the Rally Italia Sardegna. 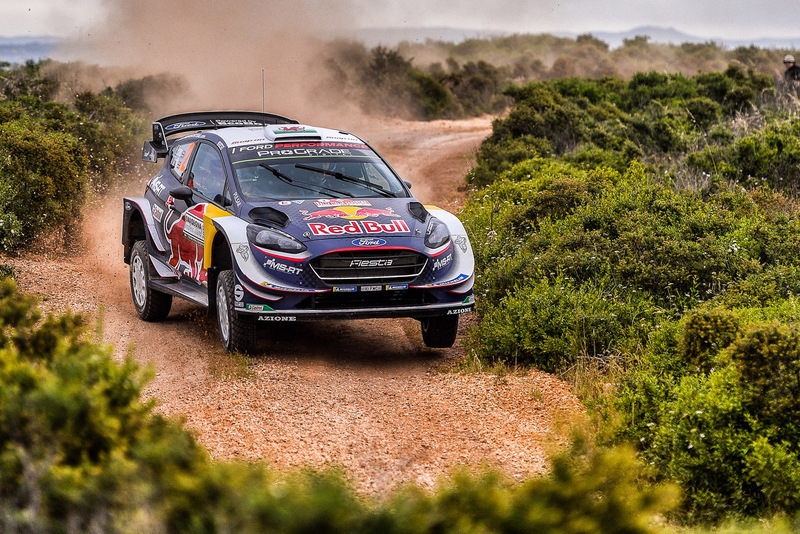 Having lost 13 minutes replacing a broken steering arm this morning, Elfyn Evans has been left in the unenviable position of pushing hard to salvage as many FIA World Rally Championship Manufacturer points as he can for Ford, in the knowledge that there is no chance of him achieving what he really arrived in Sardinia to do – and that’s win the Rally Italia Sardegna. Evans clipped a bank and broke the steering arm on his M-Sport built Fiesta WRC on today’s very wet and slippery opening stage. He was carrying a spare, and his car mechanic skills saw him replace the offending item in just 13 minutes. An extraordinary fast time to make such repairs, but a lifetime in the cut and thrust, timed to the tenth of a second, world of rallying. The delay dropped him and co-driver Daniel Barritt from fourth to 43rd. But by the end of day one, Evans had climbed back and was just outside the top 20 – with his sights set on trying to gain points in the close race for the Manufacturers’ title. The event continues tomorrow, with the longest day including the Monte Lerno stage and its iconic ‘Micky’s Jump’, and finishes on Sunday.